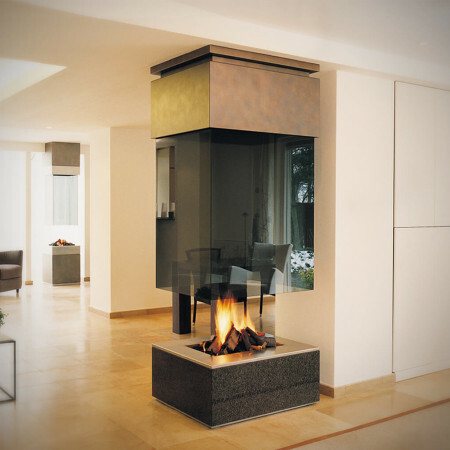 A unique and beautifully designed, modern double sided fireplace shown here as an extension of a separating wall. 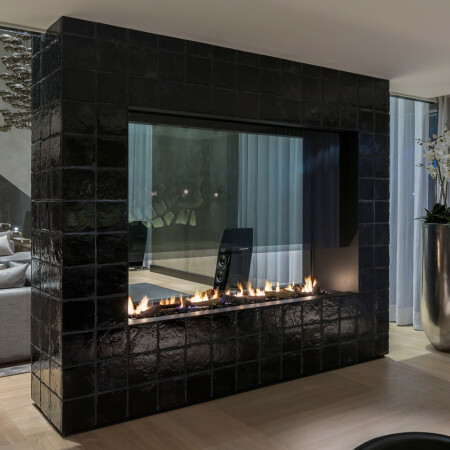 The large expanse of glass means that there is maximum transparency that allows light flow to be maintained as well as a wonderful visual connection between the spaces. Being sited on a corner also means that the flames can be viewed from all angles. This kind of design could equally be designed for installation in the middle of a room with the glass and canopy suspended from the ceiling. 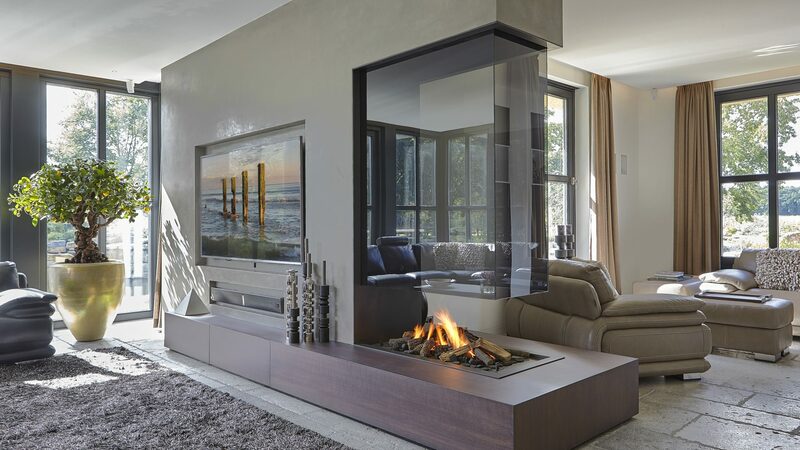 Either way, its a beautiful double sided fireplace and a wonderful feature. 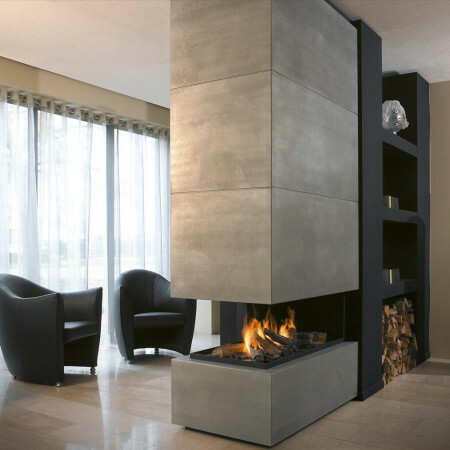 the image shows a custom made furniture base which can equally be in a range of materials depending on your requirement. Speak to a Design Consultant to understand the technical requirements of this type of installation.